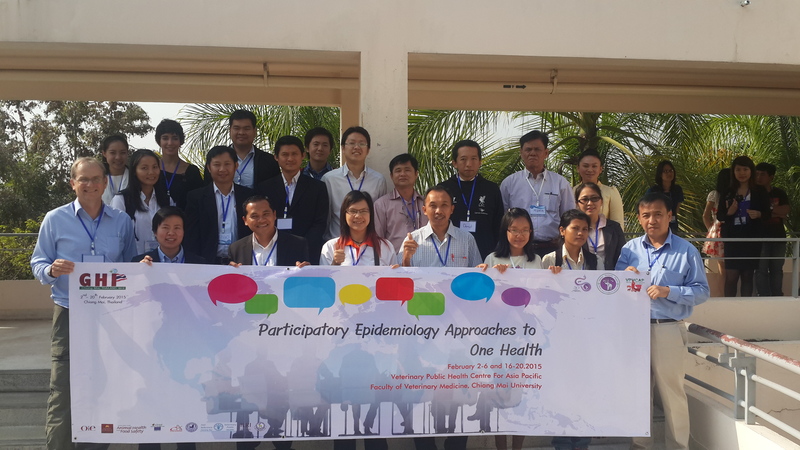 The ComAcross Project is supporting a training initiative in Participatory Epidemiology (PE) in South East Asia to contribute to skills development useful in for the implementation of One Health approaches in the region. 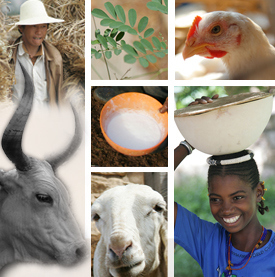 PE takes a trans-disciplinary approach that compliments One Health and EcoHealth approaches. It utilizes the methods of participatory rural appraisal and participatory learning and action to find solutions to epidemiological challenges. ComAcross has asked Participatory Epidemiology Network for Animal and Public Health (PENAPH) and two regional sub-networks for Asia and the Pacific (APPEN) and South East Asia (SEA-PREID) to provide the technical training expertise on PE. 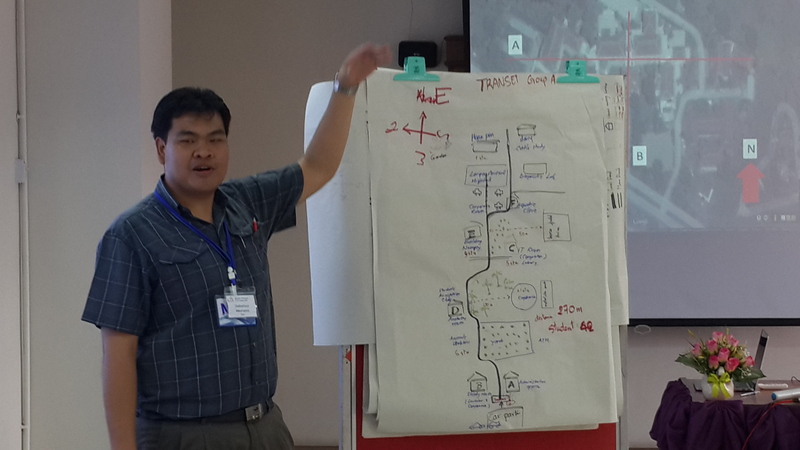 In 2014, GREASE research network supported a “Training of Trainers” Workshop that accredited PE practitioners from several Southeast Asian institutions to conduct practitioner training workshops on PE. From this initiative, a training team from Kasetsart, Khon Kaen and Chiang Mai Universities emerged in the framework of GREASE network, supported by on-site backstopping from PENAPH. 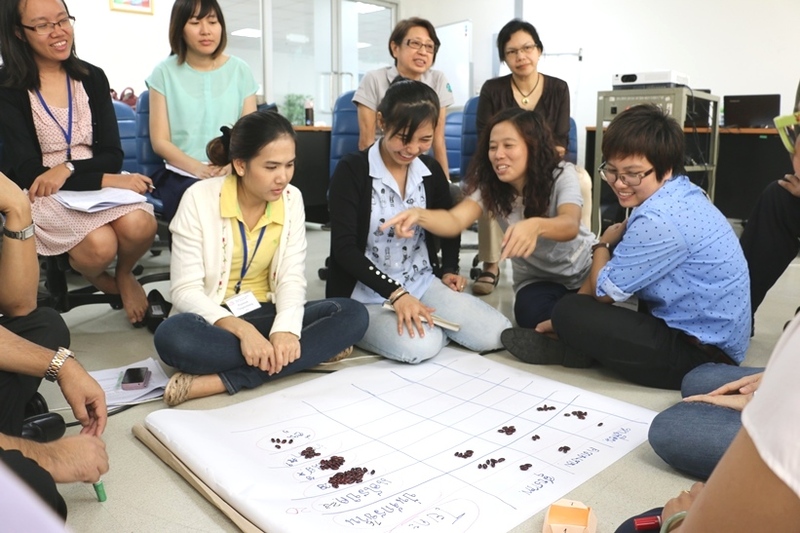 Currently, ComAcross is supporting this regional training team to lead a series of Practitioner Training Workshops for ComAcross participants form Thailand, Laos and Cambodia. The training courses are divided into one 5-day session of classroom learning and practice followed by 5 days on field practice in the participants home country. Participants come from medical, veterinary, social and environmental and animal science backgrounds. The classroom components of PE training have been completed for all participants. The session for participants from Thailand was organized at Kasetsart University, those for participants from Laos and Cambodia (Figure 1) were held in conjunction with Global Health Institute meeting at Chiang Mai University. Background and concepts are covered in the first day in the classroom. Participants discuss the meaning of participation and gain an overview of participatory rural appraisal techniques. Days 2 to 4 focus on in-class role-playing where participants practice semi-structured interview skills, ranking, scoring (photo below), mapping and diagraming (Figure 3) techniques. On the last day of classroom work, the participants prepare their checklist and study plan for the fieldwork assignment. During the field practice, participants will be asked to unravel a real field situation in a series of interviews over 5 days. This allows them to put in practice both the interview and analytical or learning skills used in PE. Analysis in PE is a process of weighing of evidence where the information resulting from different informants and different activities is compared and contrasted to construct a best-bet scenario. The results of each days activities are reviewed and the study plan is adjusted based on the days learning in a process called iterative analysis. The fieldwork for the Thai course will take place in the first week of March in Ayutthaya, in the framework of the the Thai case study implemented by ComAcross project, and will focus on health issues related to flooding. The field activities for the Laotian team will follow work on stakeholder prioritization of zoonotic parasitic disease in Southern laos, in the framework of the Lao ComAcross case study about parasitic diseases’ impact on small scale farming. And the Cambodia group will examine community knowledge of Japanese encephalitis witin the dynamic of the ComAcross case study focusing on JE control in Cambodia and Laos. The practitioner trainees are enthusiastic and eager to apply their new skills in the field. PE training workshops seek to create a relaxed, safe and fun environment for learning. The PENAPH and ComAcross representatives were overwhelmed by the friendly and fun atmosphere that the SEA training team and participants created. PE is off to a solid start in the region thanks to ComAcross, national stakeholders and very creative participants. When would the training be held? These trainings are being held in South East Asia. Where are you based?